PHILIPSBURG - National Insurance General Corporation NAGICO Insurances and the Princess Juliana International Airport (PJIA) operating company failed to reach an agreement by the 5:00pm Monday deadline that the court had set for parties regarding the settlement of PJIA’s Hurricane-Irma-related insurance claims. NAGICO Group of Companies Chairman Imran McSood told The Daily Herald on Monday evening that parties have not been able to reach an agreement and have advised the judge accordingly. Given that parties failed to reach an agreement by the July 23, deadline, the Judge is expected to give his decision in summary proceedings on July 30. This was the second time the Judge granted parties extra time to negotiate in an injunction, which was filed by PJIA on May 14. The negotiations, which started after the first Court hearing of June 19, did not lead to very substantial results. PJIA was severely damaged by Hurricane Irma on September 6, 2017. As a result, the airport had to be temporarily closed. Today, PJIA is still provisionally operational using temporary tents and other facilities. The airport claims damage to the tune of US $134.2 million, consisting of $105.7 million in material damage and $28.5 million for profit loss. PJIA stated during last week’s hearing, that this amount is well within the $193 million policy under which the airport is covered for damage, which includes coverage for loss of profit to the amount of $29.5 million. PJIA had earlier called on the Court in summary proceedings to order NAGICO to pay PJIA $72.6 million, and three monthly instalments of $2.3 million as per June 1, July 1 and August 1, 2018, with legal interest. After negotiations with PJIA, NAGICO was prepared to pay out $37,359,978, including an amount for business interruption, but PJIA had not responded to the proposal. NAGICO has paid out advances of $25 million in total. 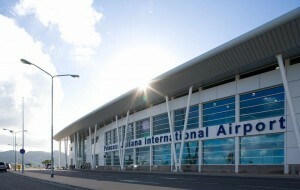 NAGICO had earlier refuted PJIA’s claims and stated that establishing the damage of 26 items, including the airport terminal, is no simple task. PJIA submitted eight reports between October 2017 and May 2018 with more than 400 pages and photos to prove that damage was suffered. However, according to the insurer, none of these reports provided indications of the real cost of repair. NAGICO had demanded a “fully quantified and documented” claim, which is to include contractor estimates for all proposed repairs and copies of the scope documents on which prospective contractors are being asked to tender; a detailed and fully documented claim list allocating the items under the respective headings in the policy schedule; as well as 24 monthly management accounts and a copy of the last annual financial statements prior to the loss. Without the required information it is impossible for NAGICO’s adjusters to establish a responsible and substantiated claim, NAGICO’s attorney had said in an earlier court hearing.